Comment: I have a home in a Family Trust. I need an accurate appraisal because one of the two co-successor trustees (I am one of the two) is requesting to have me offer her a buy out of her share because she wants cash very soon. I cannot evaluate the monetary value of her share until I have an accurate value of the house. I have been advised by a lawyer to obtain this. I do not need a real estate appraisal as I am not ready to sell the property as it needs some improvements but the other trustee does not want to wait. So I need an appraiser who is excellent, honest and has my best interests in mind. Comment: We are looking at buying a home but it was affected by the 2010 Nashville flood and the home still currently flood during heavy rains. The home owners said they had a plumber look at it and said they need to install a sump pump which is a simple fix. We just want another opinion. Comment: My offer was accepted on 03/30/2019 to purchase this condo. I have to have the home inspection done within 7 days. Nashville Home Inspectors are rated 4.93 out of 5 based on 450 reviews of 35 pros. 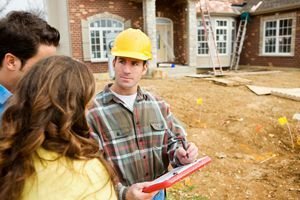 Not Looking for Home Inspection Contractors in Nashville, TN?